Home ► Blog ► What Makes National Paralegal & Notary Different? What Makes National Paralegal & Notary Different? When you are looking for national notary signing services, it’s unlikely you’ll just search for something like “notary near me.” After all, you’re probably not just looking for a single notary, and you certainly aren’t looking for one who works at the local post office or bank. If you’re in need of a notary that has expertise and specializes in mortgage or debt settlement signings, then you need a high-level notary who performs notary services very regularly. You might be wondering how to choose a document signing company that will provide the best notaries for your signing needs. 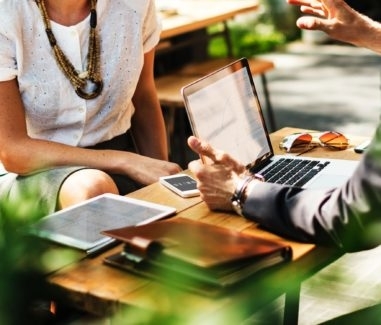 We’d like to tell you a few of the reasons why National Paralegal & Notary (NPN) stands out among the many signing companies you may be considering. National Paralegal & Notary is just that, -National. We offer service in all 50 states and have the largest managed network or paralegals and notaries in the United States. From Florida to New York, and all the way across to California, NPN has thousands of qualified notaries ready at a moment’s notice to complete your document signing request with the care and accuracy it deserves. All you have to do is choose NPN to manage your document signings and we take care of the rest. Another reason to work with a national notary service: industry experience. Because we have such a large pool of national notaries at our disposal, NPN has the ability to match the correct notary with your specific document signing request and industry. Need a mortgage notary signing agent? How about a debt settlement notary? Let our ten years of industry experience work to your advantage. 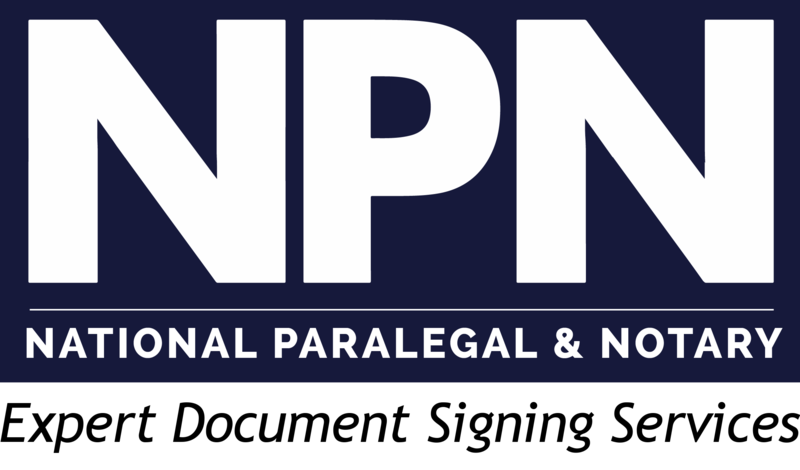 Perhaps the greatest advantage of working with NPN is that many of our notary agents are also paralegals. NPN started as a paralegal staffing service and over time has added a robust document signing services division. Many of our notaries are also paralegals or have legal backgrounds. When you hire our notaries for regular document signing services, you’re not just getting their ability to legally notarize paperwork, but also their wealth of legal knowledge. This unique and professional advantage is provided at no additional cost to our clients. Notary services are a legal necessity in many industries, and we understand that the need for a document signing service can add costs to your project. At NPN, we look forward to the opportunity to work with your company and its clients and offer very competitive pricing. Simply fill out this form to let us know what kind of document signing services you require. We’ll get back to you with more information regarding out competitive and volume-based pricing. At NPN, our service isn’t just about providing a notary your documents and hoping everything is completed correctly. We manage each file from inception to completion. We are in direct contact with our notaries throughout the signing process. Our clients are provided access to our scheduling software where they receive real-time updates. Additionally, a member of the NPN scheduling team is always available via phone, text or email to assist you. It is our ultimate goal to make the entire signing process as easy as possible for you and your clients. National Paralegal & Notary is ready to provide you with the absolute best notary services available. We look forward to the opportunity to be of service. Contact us today to get started!